Our interconnecting rooms are ideal for family breaks in Wexford. These are in our Deluxe category and offer added comfort and space. These are an excellent option for larger Families. Room 1 consist King Double ( or 2 Single Beds if needed). Room 1 Queen Double, 2 x Single Bed and 1 Roll out Bed on request. To compliment your room you will have access to our Leisure Club which includes our; Spata Gold Medal Award winning 20m pool and children’s pool, tranquil hydrotherapy, relaxing Jacuzzi, and a full gym. Our grounds offer a playground where your kids can enjoy fun and games. 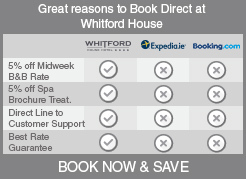 Explore the paradise that Wexford has to offer, book today! lease note our Serenite Beauty Salon & Style Icon Hair Salon are located in the Lodge Pre-booking prior to arrival is recommended to avoid disappointment.